Tucker Trimmer to the rescue! When you've got a bunch of half square triangles to make, this is the technique for you. 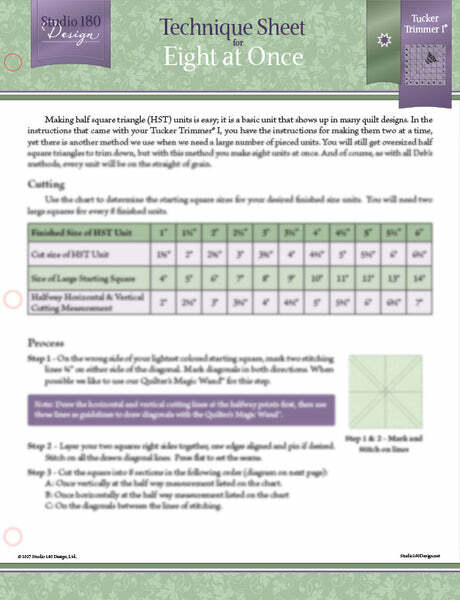 Using the the Eight at Once Technique Sheet, you'll be able to make eight half square triangles at a time. 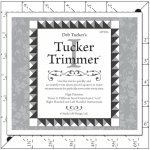 Like with all the Techniques your half square triangles will be slightly oversized after you are done sewing and pressing so that you can trim them down with your handy dandy Tucker Trimmer.